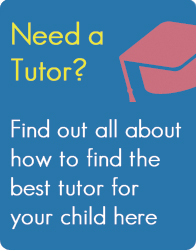 11 plus, Schools, Grammar Schools, Choosing a School, 11 plus regions and advice. ‘Information is Power’ is a valid motto in the context of the Eleven Plus. Almost every area and every school has different testing procedures, the format of the tests varies and the admission rules for allocating school places are specific to the area or school. The single aim of this website since it was created in 2004, has been to provide you with as much impartial advice as we possibly can on every aspect of this process, and to help you navigate your way through the minefield of transferring your child to senior school at 11+. In each regional section you will find information about admissions to the 164 remaining grammar schools in England, plus information about the highly popular and competitive “partially selective schools” that exist in some areas. We aim to keep these pages as up to date as possible but inevitably there are changes – major or minor – to admission policies each year. Please ensure that you check with the admission authority (Local Authority) and on the schools’ own websites for the most accurate and up-to-date information. We provide website links in every case to assist you in doing this. We are always grateful for contributions to this site from those with detailed local knowledge. If you feel that you can add further information please email editor@elevenplusexams.co.uk.